Like most psychiatric disorders, drug addiction is defined today solely on the basis of behavioral terms. For example, addiction can be defined as a loss of control over drug intake, or the compulsive seeking and taking of drugs despite adverse consequences. The devastating consequences of addiction are well known. Addiction is the leading cause of AIDS, lung cancer, and cirrhosis of the liver and costs society hundreds of billions of dollars due to loss of life and productivity. Unfortunately, today's treatments for addiction are inadequate for many addicts. Addiction is complex, and involves many types of social and psychological factors. However, it is, at its core, a biological process: the effect of a biological substance (drug of abuse) on a biological substrate (a vulnerable brain). Addiction is also highly heritable: about 50% of the risk for an addiction is genetic, and this holds true for many different addictions, including to heroin, cocaine, alcohol, and nicotine. However, the specific genes which comprise that risk remain unknown. Over the past several decades, the behavioral abnormalities that are used to define addiction have been modeled with increasing accuracy in animal models. The availability of such models has made it possible to investigate the neurobiological basis of the addiction process. Upon initial exposure, a drug of abuse enters the brain and binds to its initial protein target. This binding perturbs synaptic transmission at particular synapses in the brain, which in turn causes the acute behavioral effects of the drug (e.g., high, euphoria, sedation, activation, etc.). These acute actions of a drug of abuse do not per se explain addiction, which requires adaptations to repeated drug administration. These adaptations presumably involve molecular and cellular changes in particular neurons in the brain, which alter the functioning of the neural circuits in which those neurons operate to lead ultimately to the behavioral abnormalities that characterize an addicted state. 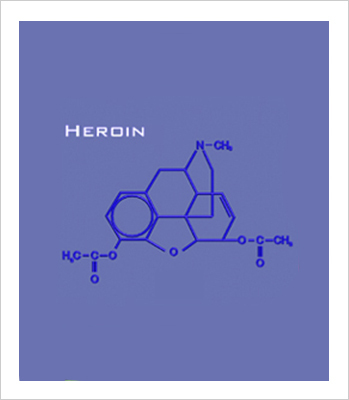 As a result, the process of addiction can be viewed as a form of drug-induced neural plasticity. We now know the acute protein targets for most drugs of abuse and understand in considerable detail how those actions perturb synaptic transmission after initial exposure to the drugs. In addition, considerable progress has been made in identifying the molecular and cellular adaptations that are induced in the brain in response to chronic drug administration, and in relating individual adaptations to the behavioral abnormalities that define addiction. One of the major gaps in our knowledge is understanding how altered functioning of individual nerve cells, as a result of those molecular and cellular adaptations, leads to abnormalities in complex behavior. Such an understanding will require a more sophisticated comprehension of brain function at a neural circuit level, which is not currently available. The fact that structurally diverse drugs all cause a similar behavioral abnormality (addiction) can be explained by the fact that each drug, despite many distinct actions in the brain, converge in producing some common actions, prominent among which is activation of the brain's reward circuitry. The most important part of this circuitry is the mesolimbic dopamine system, comprised of dopamine neurons in the ventral tegmental area (VTA) and their projections to the limbic forebrain, in particular the nucleus accumbens (NAc). Drugs of abuse affect the VTA-NAc pathway with a power and persistence not seen in response to natural rewards. One likely mechanism of addiction, then, is that repeated, extreme perturbation of these neurons changes them in a way that leads to dramatic alterations in reward mechanisms and motivational state that underlie addiction. Several types of functional alterations have been described in the addiction field. Tolerance, or reduced drug responsiveness with repeated exposure to a constant drug dose, may contribute to the escalation of drug intake seen during the development of an addiction. 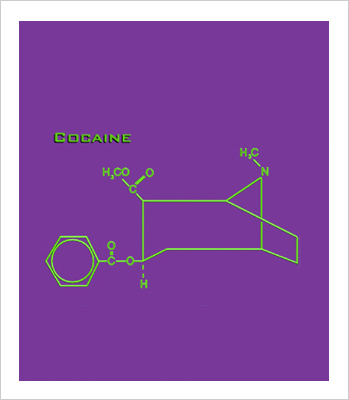 Dependence, or an altered physiological (functional) state that develops to compensate for persistent drug exposure. Dependence gives rise to a withdrawal syndrome upon ceasing of drug exposure, and may contribute to the dysphoria (negative or aversive emotional state) and high rates of relapse seen during early phases of withdrawal. Sensitization, or enhanced drug responsiveness with repeated exposure to a constant dose, may contribute to the increased risk of relapse after longer withdrawal periods. 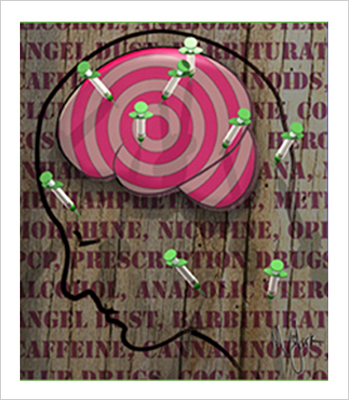 Drug addiction likely involves changes in many brain structures. Changes in the VTA and NAc increase or decrease an individual's sensitivity to the rewarding effects of drug exposure and lead to withdrawal symptoms when the drug is stopped. Changes in the amygdala and hippocampus are important in mediating drug craving and relapse triggered by cues associated with past drug use (e.g., drug paraphernalia, locations of past drug use), while changes in frontal cortex may be particularly critical for the loss of control over drug use, an essential feature of addiction.